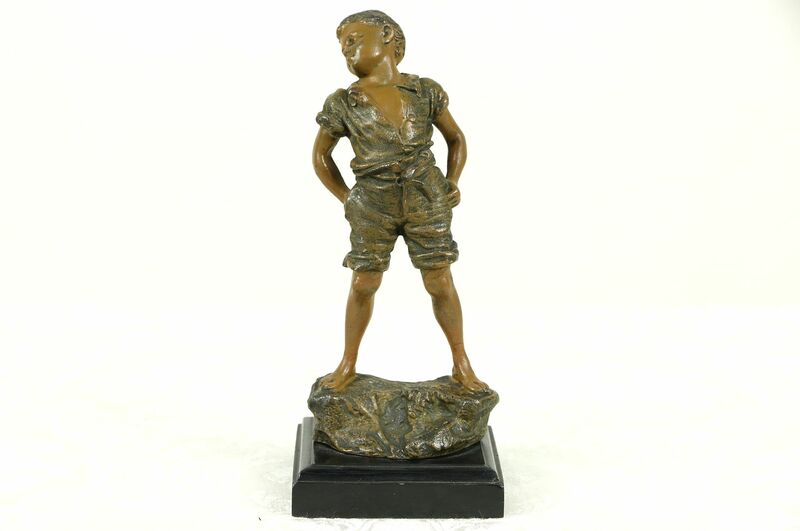 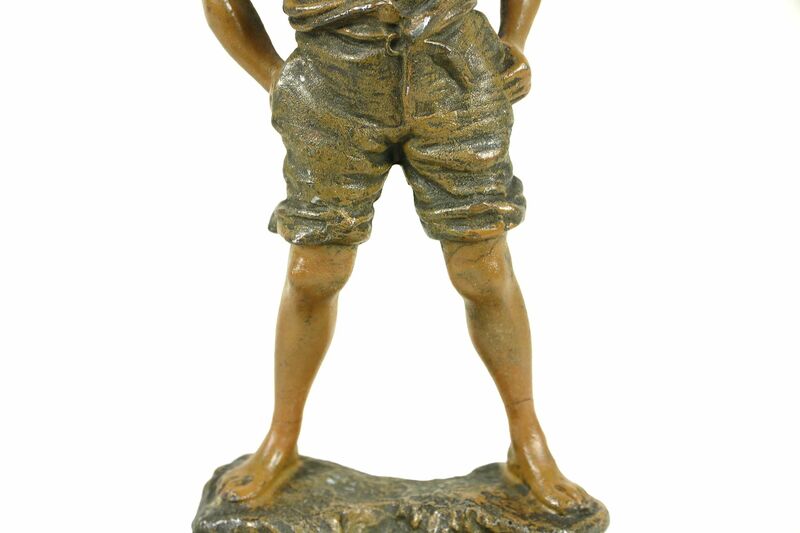 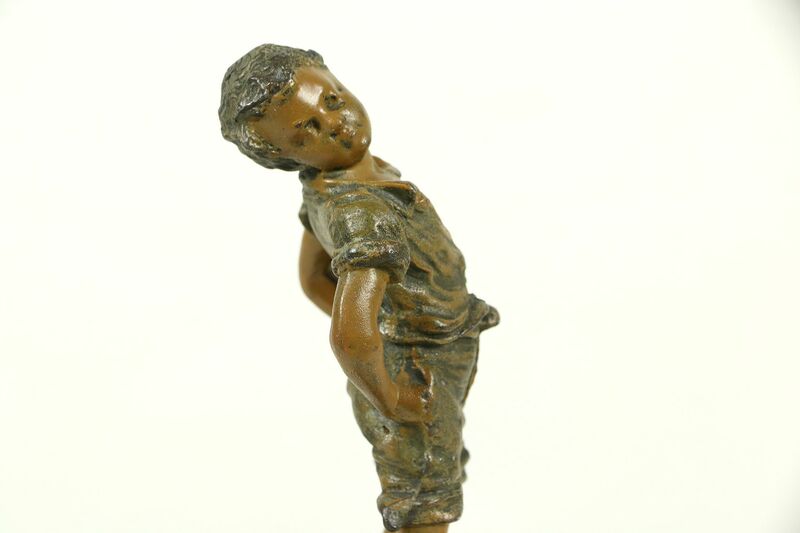 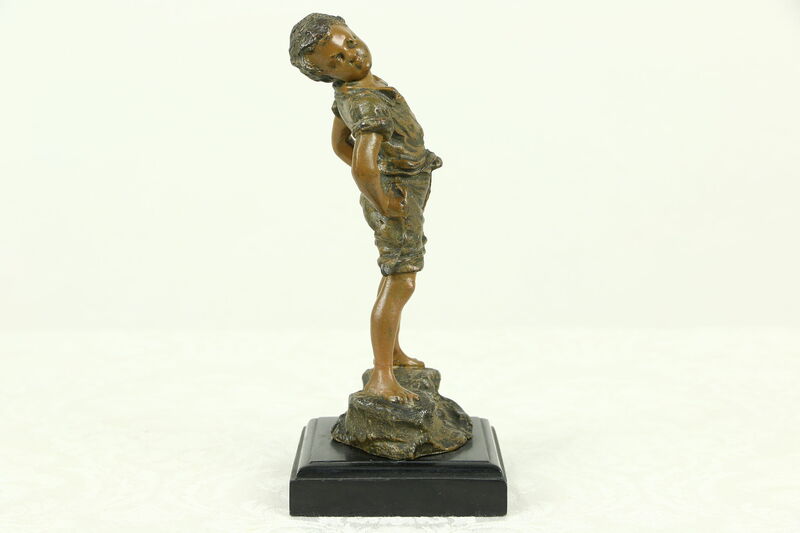 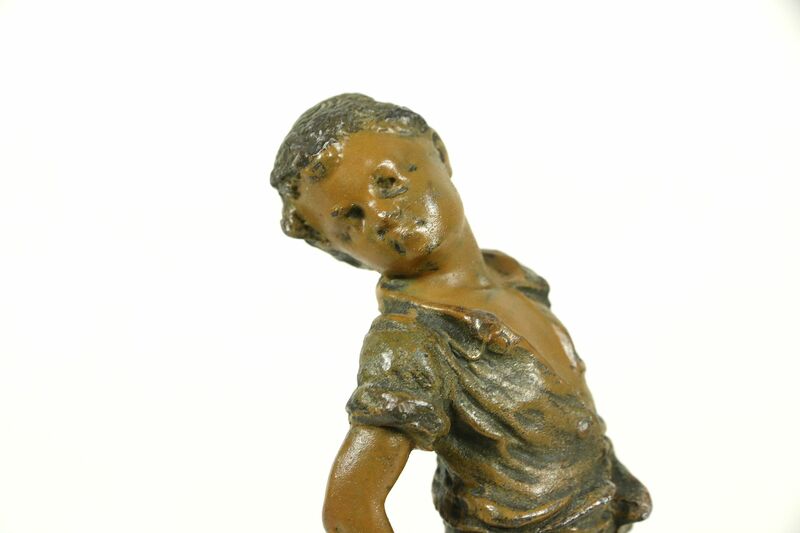 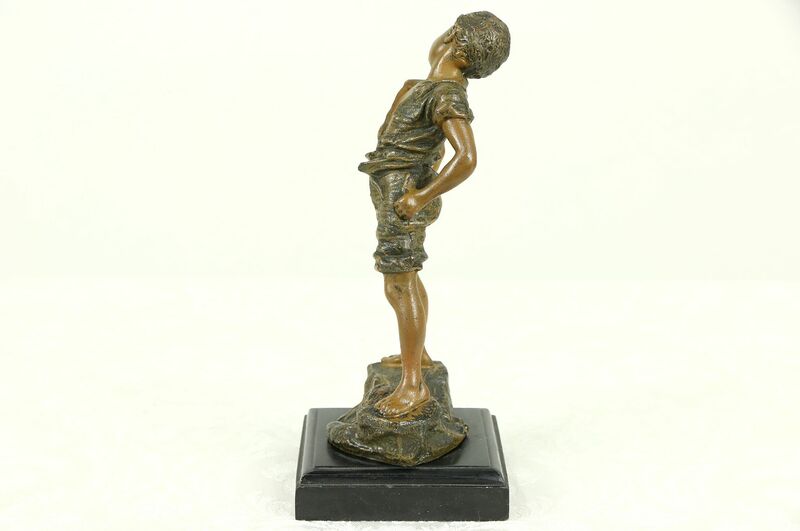 A statue of a young boy in a jaunty pose is signed by famed Austrian sculptor, "Carl Kauba." 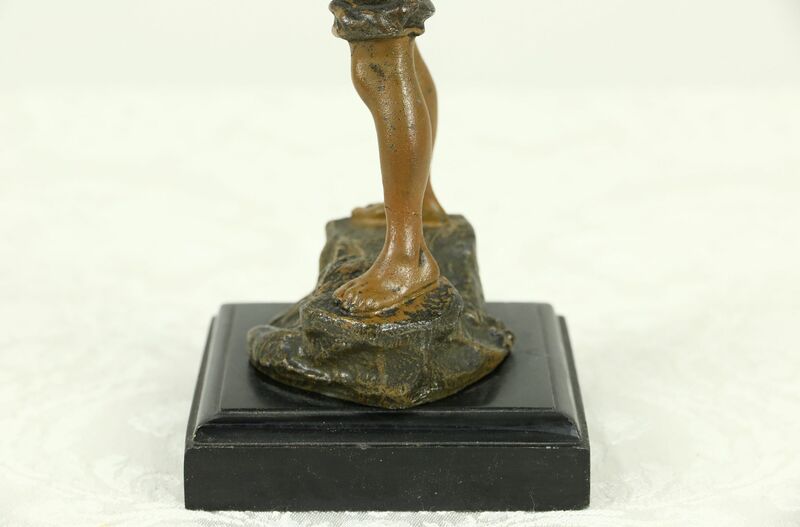 The original hand painted finish is in very fine condition on this work of art. 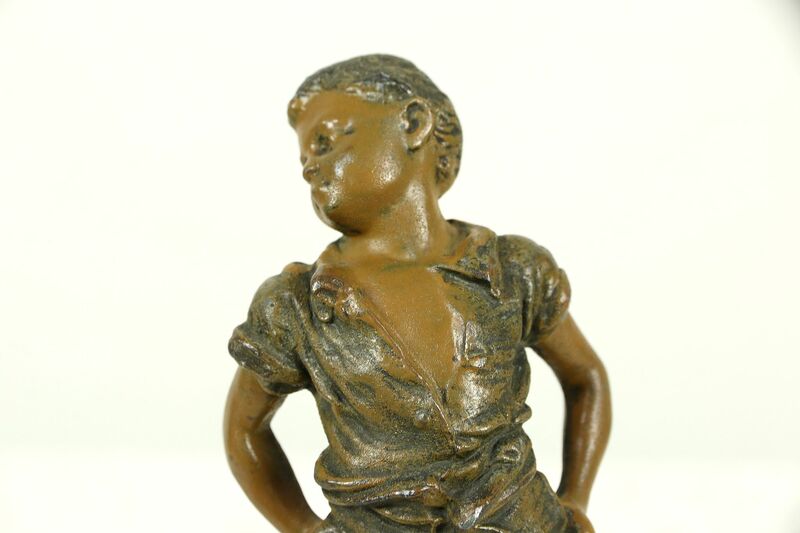 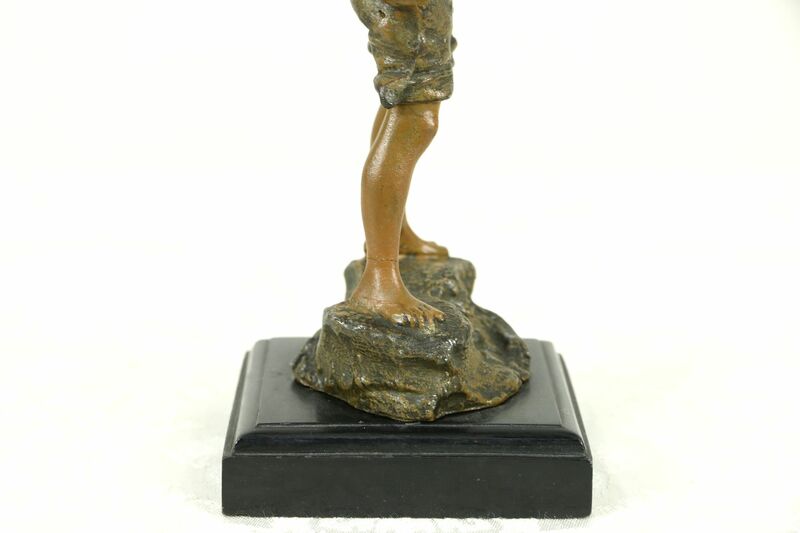 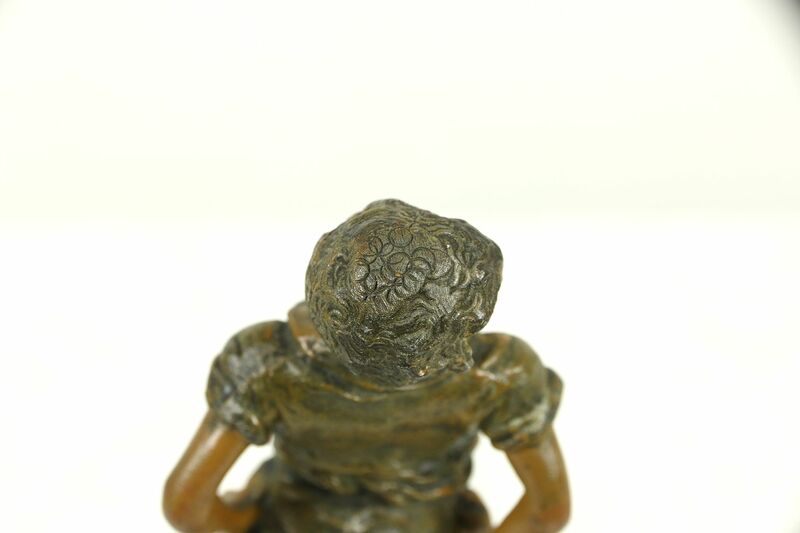 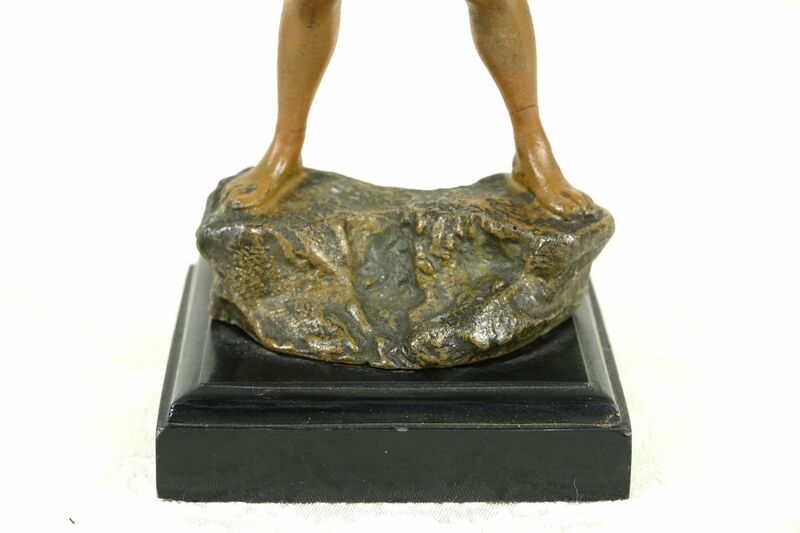 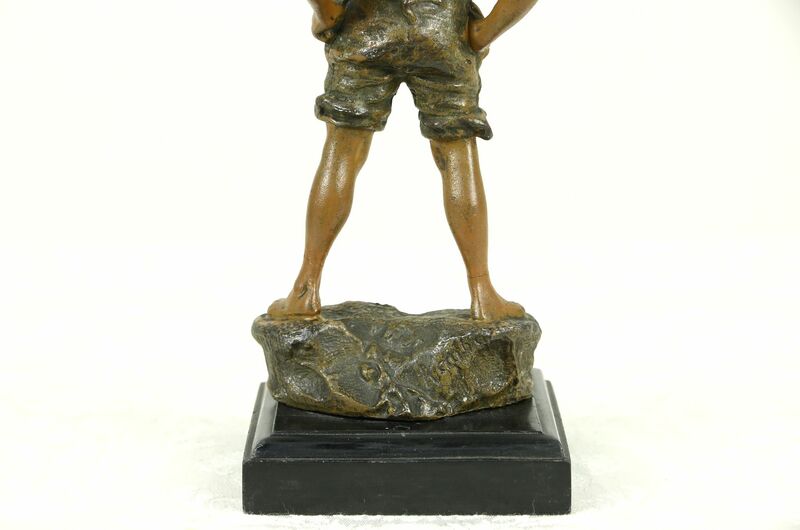 Finely detailed, this cast "spelter" metal figure is an alloy, similar to pewter with a bronze finish. 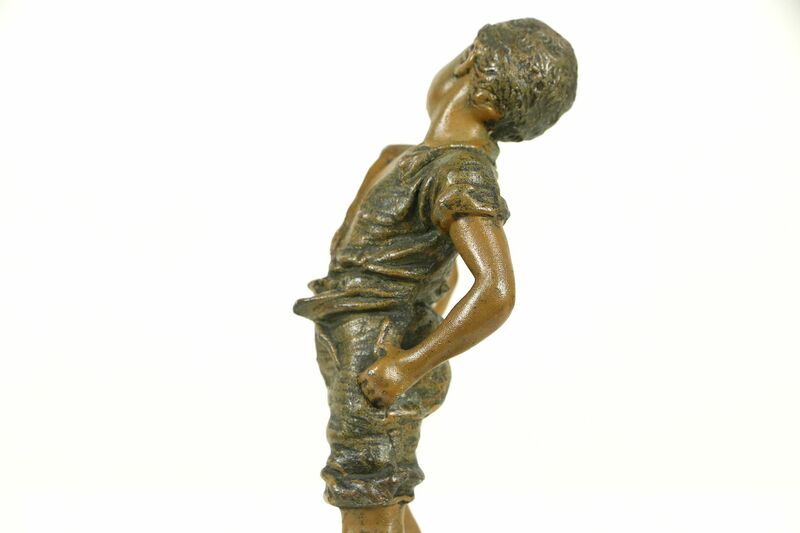 Kauba (1865-1922) was born and died in Vienna, Austria, but loved American subjects for his sculpture. 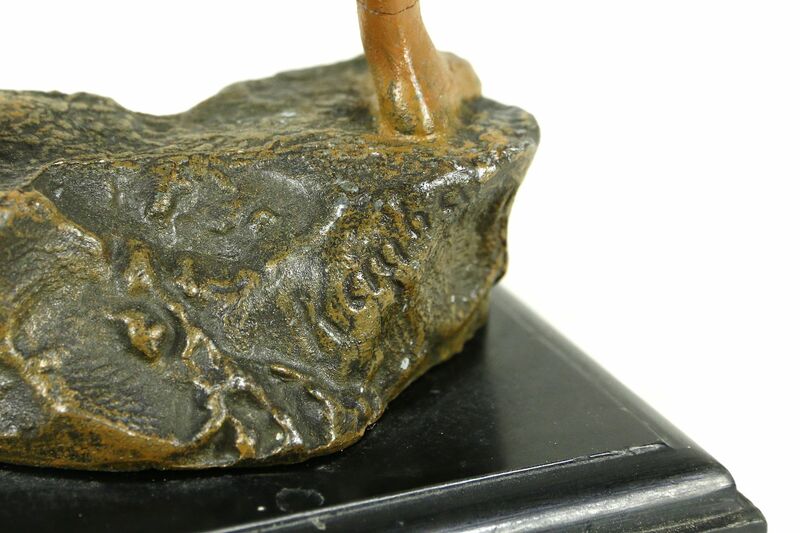 The base is polished black slate with tiny flakes at the bottom, see photos. 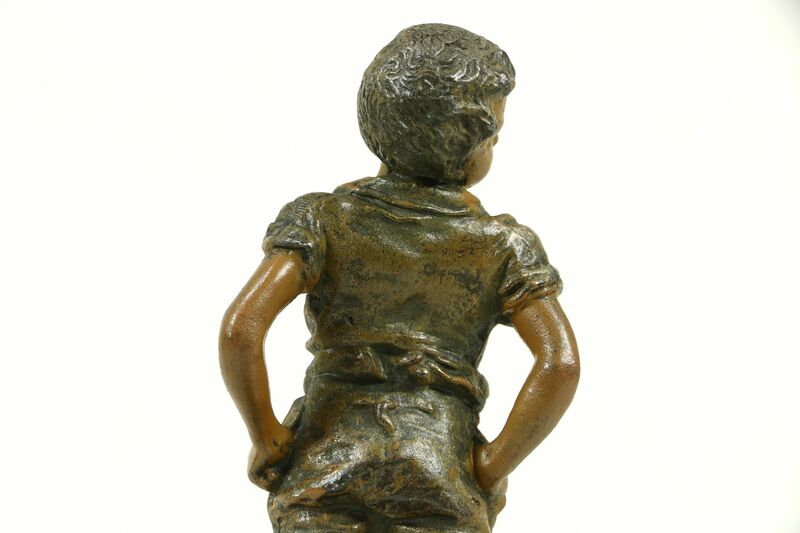 Base size is 3" square and height is 7" overall.